Grootte van hierdie voorskou: 800 × 534 piksels. Ander resolusies: 320 × 213 piksels | 640 × 427 piksels | 1 024 × 683 piksels. 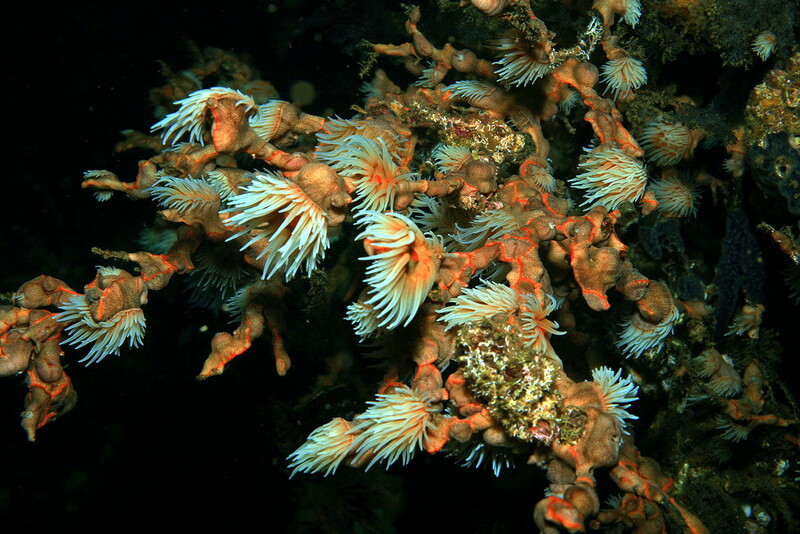 From a distance, these coral heads resemble cotton plants growing on the sea mountain at the "Cotton Hill" dive site in Sta. Catalina, Panama. But a closer look reveals delicate white coral polyps feeding in the plankton-rich waters of the Pacific Ocean. This image, originally posted to Flickr, was reviewed on 03:43, 28 November 2007 (UTC) by the administrator or reviewer Boricuaeddie, who confirmed that it was available on Flickr under the stated license on that date.